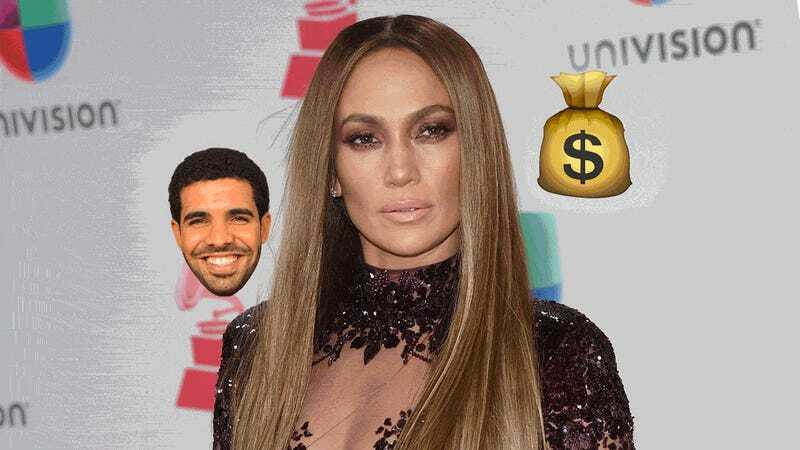 When it was revealed earlier this week that Jennifer Lopez suddenly backed out of a Miami New Year’s Eve performance that would have paid her $1 million, I thought, “What on earth could possibly be more appealing than making a million bucks in one evening?” Friday morning, Page Six reported that the answer to that question is... Drake. Jennifer what are you thinking? Jennifer tell Drake to come to you! Jennifer I don’t know if you’re familiar with the concept of gambling but when you go to Vegas you generally LOSE money. You are not casually given $1 million. Jennifer Celine Dion isn’t even performing those nights. Jennifer when the options are “spend time with new boyfriend” or “$1 million,” always choose $1 million. While “the boys were clearly having a blast,” DiCaprio was especially enjoying his time with their stunning entourage. Before you ask, I was not the onlooker. I was writing about vampires before the AIDS crisis. People told me Interview With the Vampire was a gay allegory, and I was very honored by that. [Rice’s son, Christopher, is openly gay.] I think I have a gay sensibility and I feel like I’m gay, because I’ve always transcended gender, and I’ve always seen love as transcending gender...I have a gay sensibility. I get teased a lot by my gay friends because we have a rapport on things we find exciting or interesting. It’s very hard for me to remember that I have a gender, and that they’re treating me in a negative way because of that gender.